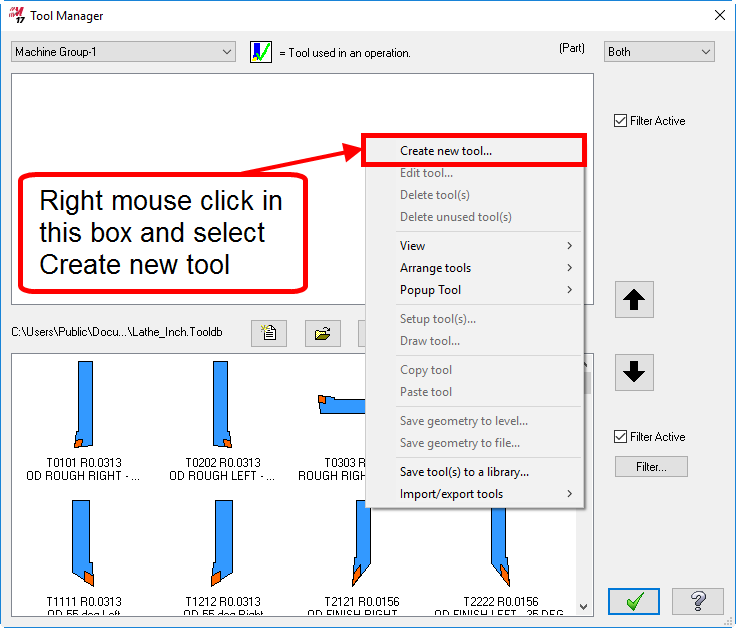 Right mouse click in the upper box and select Create new tool. 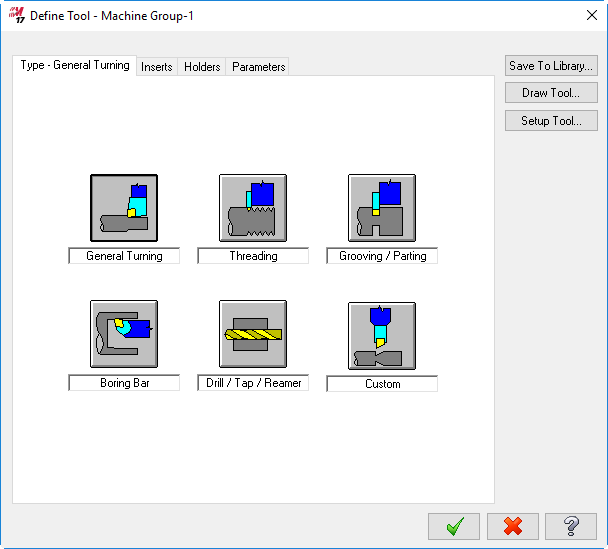 Select the tool type that is applicable. 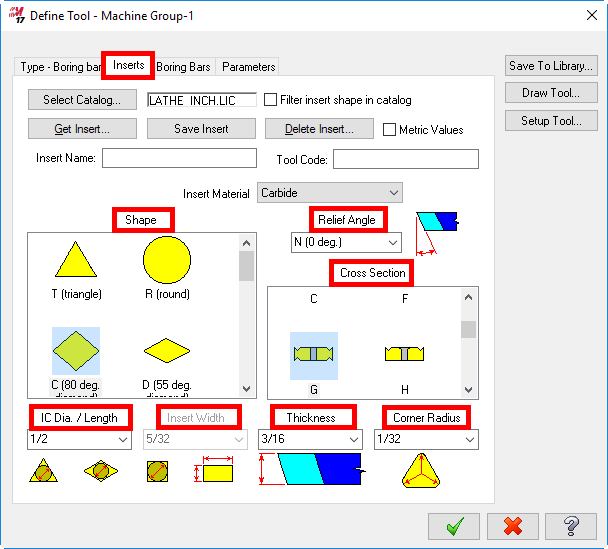 Under the Inserts Tab, populate all fields that apply to this custom tool. 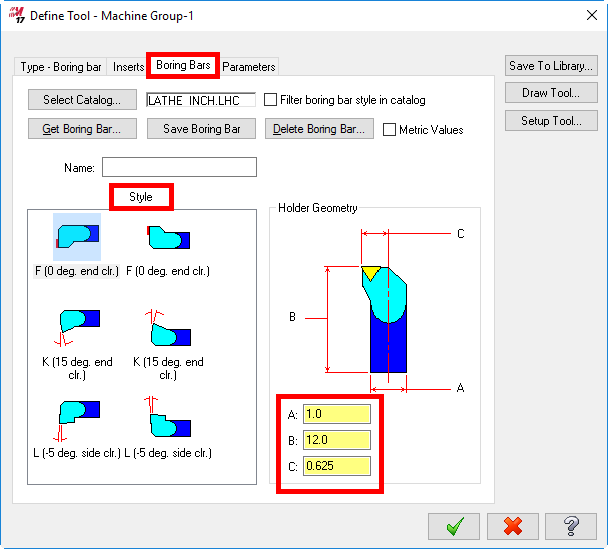 Under the Boring Bars tab, populate all fields that apply to this custom tool. 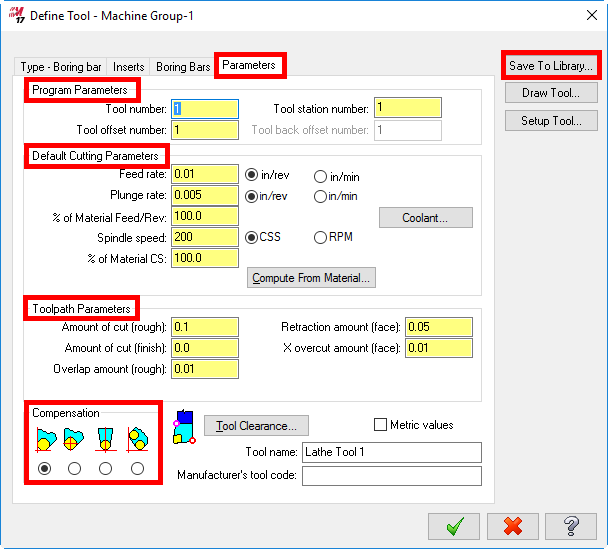 Under the Parameters tab, enter the Program Parameters, Default Cutting and Toolpath Parameters. Specify the desired Compensation orientation. 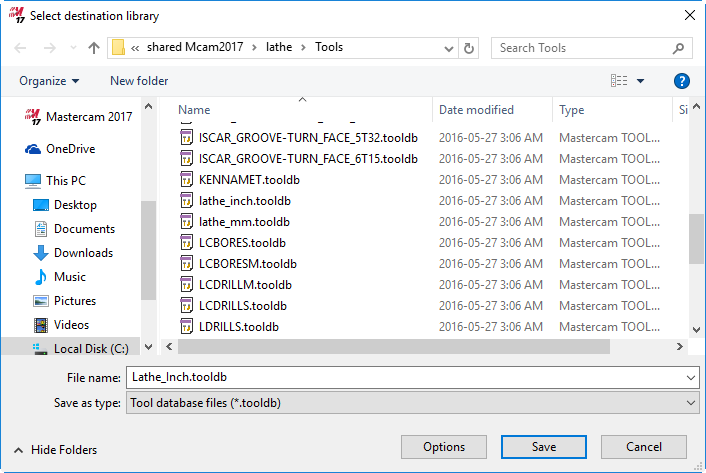 Then select Save to Library.